1. In a pan heat oil, add the urad dal & dry red chilli fry until golden brown and remove. 2. Now add the shallots, garlic, ginger, curry leaves, hing and fry well. 3. 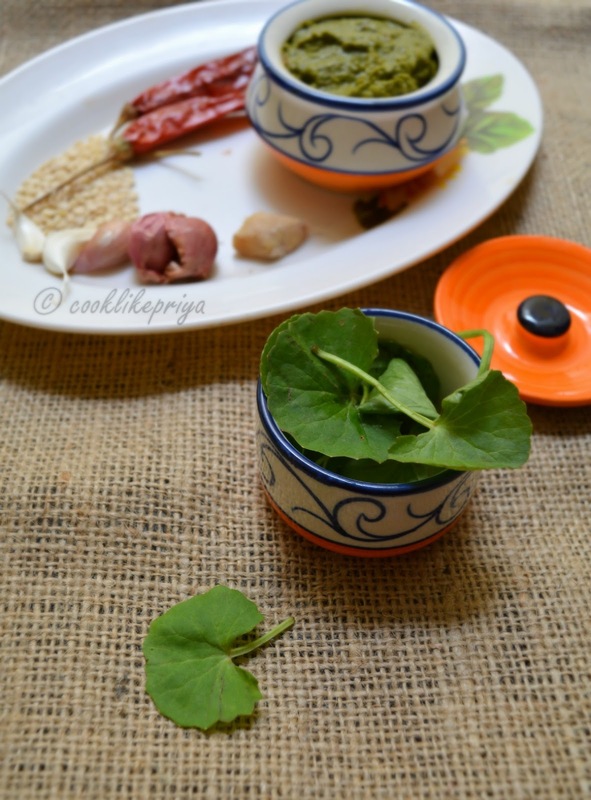 Add the keerai/ leaves and mix well. Wait for the leaves to whilt. 4. 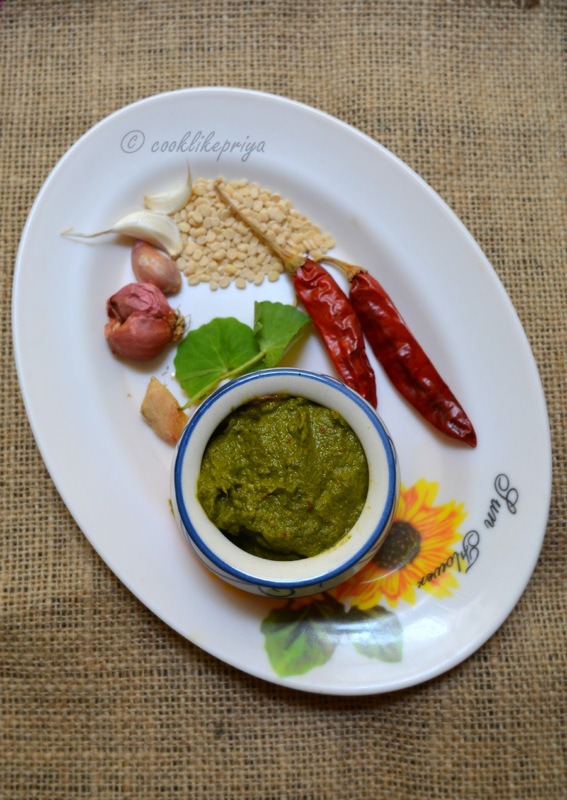 Make a powder of urad dal & dry red chilli, now add the keerai mix and blend everything together until combined. Check for salt. 5. Serve along with rice, curry, pappad & veg side. 1. Vallarai keera/ Bhrami leaves are known for their bitter taste, one good tip is to not chop the leaves. Once they are cooked and blending along with the other ingredients they taste amazing. You will not find the bitter taste at all. 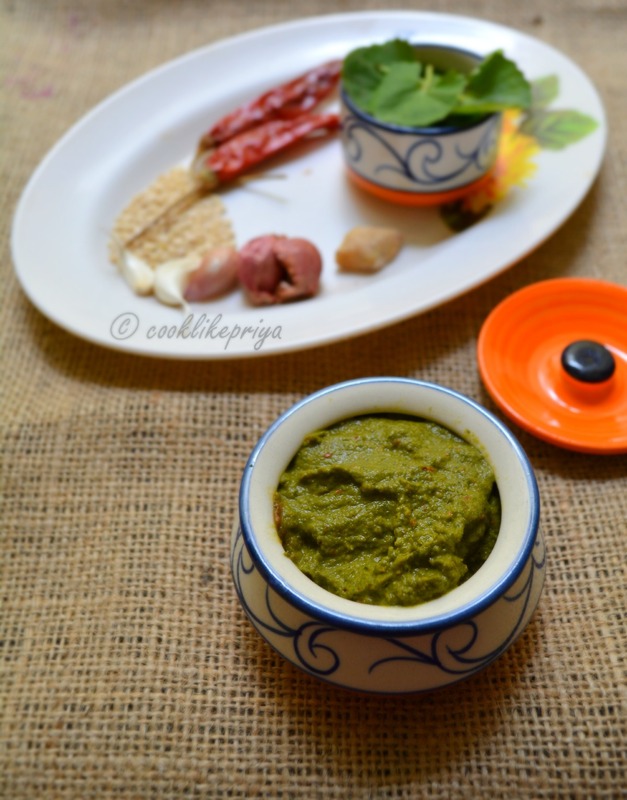 yummy and healthy chutney, Its more than 6 yrs i tasted this kind of healthy and authentic dishes...lovely presentation! 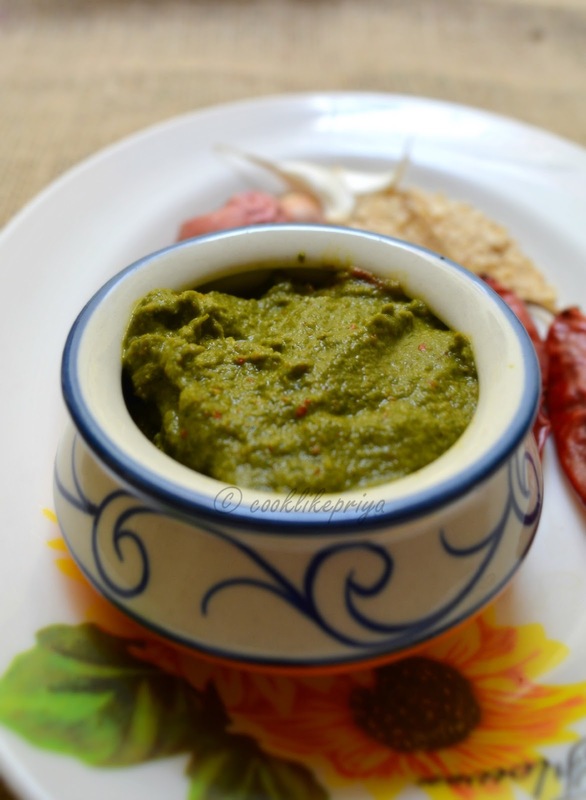 Wat a healthy chutney, missing this leaves here.